Keeping the workplace safe benefits everyone, but while having your Alsco First Aid Kit in place, your higher levels of washroom hygiene achieved and plenty of non slip mats in appropriate areas, safety actually extends beyond this list. Having workplace emergency plans is also part of it. The fact is that no-one is able to foresee when an accident, either large or small, is going to happen. So, should there be one, it is essential that everyone knows what has to be done and how to do it. What needs to be understood, however, is that preparing emergency plans in the workplace is much bigger than jotting down a few instructions. A whole series of possible incidents need to be examined, and then a proactive response developed for each. It’s a big undertaking, which is why we at the Alsco Greenroom have decided to run a 4-part series of articles guiding you through the process with each part looking at specific aspects of the task. The first of the series looks at what elements go into an effective plan, with the following articles covering specific workplace incidents, incidents off the premises, and incidents caused by extreme weather conditions. An emergency plan needs to be extremely detailed, so it pays to take time to consider what needs to be included in it. The starting point is to assess the hazards that exist in your workplace. These procedures are detailed and presented as a simple step-by-step guide for a specific type of incident. If there is an explosion, the procedure will be different to the procedure to handle stairs collapsing, for example. Stating the procedure clearly ensures there is no confusion. It is the same with detailing the evacuation procedures. Providing a map as well as a step-by-step guide is a good idea, while an emphasis on evacuating calmly is equally important. Be sure to appoint someone to call the emergency services (usually the first aider or PCBU). People tend to assume someone else will do it and the confusion can cause a delay which might prove to be the difference between life and death. Ensure there is always a first aid kit close by, and a first aider on duty to use it. 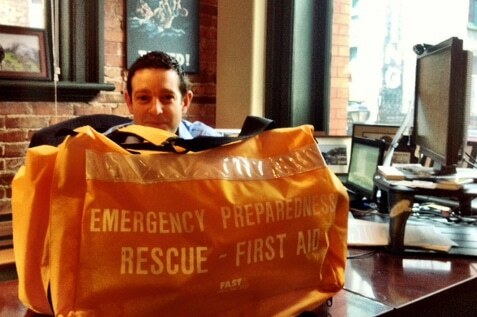 Taking time to send enough staff on first aid training courses is well worth the effort. With so many facets, delegating responsibilities is highly important. Reliable staff who are properly instructed can move fast, so ensure that a selected number have specific tasks to do. An essential part of the whole emergency planning process is to have regular reviews. Between staff turnover, and everyday workplace activities, things can change that can make a plan obsolete. In any case, revisiting plans provides the best chance of covering everything. Of course, follow-ups are highly valuable as they provide a opportunity to examine how your plan performed after an incident. To enhance the safety of your workplace, ensure that you have sufficient, ., high-quality first aid kits.